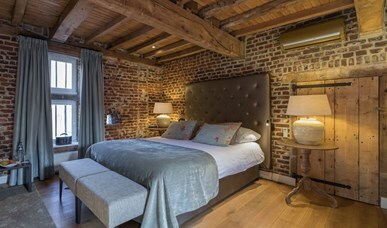 Dream away in one of our 40 luxurious rooms and royal suites and wake up, surrounded by Limburgian luxury. Observing guests are generally epicureans. They prefer stylish ambience and resourcefullness and they wish to enjoy something thoroughly in pleasant surroundings. 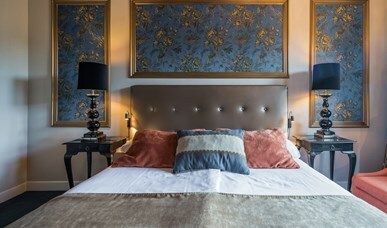 You will see that an indulgent stay at TerWorm means peace and quiet, nature, luxury and conveniences. Hotelroom with television and radio, pay-tv, telephone and safe. The bathroom is equipped with a bath, shower and toilet. Some Pachthofrooms have a terras. Unique classic castle room with television and radio, pay-tv, telephone and safe. The room is equipped with a bath, shower and toilet, minibar, coffee and tea facilities. Suite with kingsize bed, television with radio, pay-tv, telephone and safe. The bathroom is equipped with a bath, shower and toilet. Some Pachthof Junior Suites have a terrace or a balcony. Suite with kingsize bed, television with radio, pay-tv, telephone and safe. The bathroom is equipped with a bath, shower and toilet. 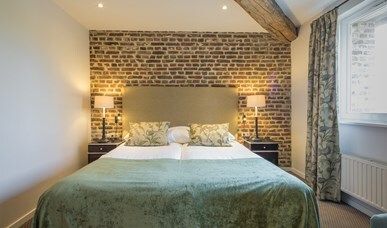 Suite with kingsize bed, television with radio, pay-tv, telephone and safe. The bathroom is equipped with a bath, shower and toilet. Some Pachthof Senior Suites have a terras or a balcony. 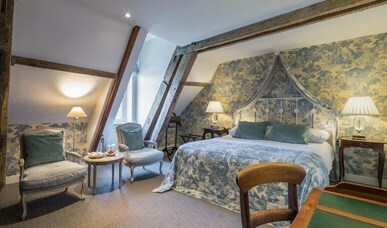 This spacious Junior suite has wide windows in the bedroom and bathroom, offering a splendid view of the little bridge and the castle garden. Unique suite with bath, shower, television with radio, pay-tv, safe and a kingsize bed. 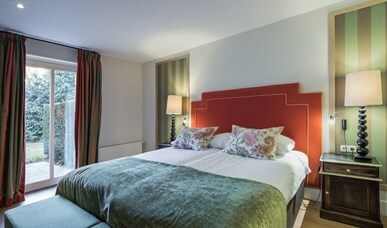 Beautiful suite, of which one of the three Baronsuites has a Jacuzzi and steam shower. 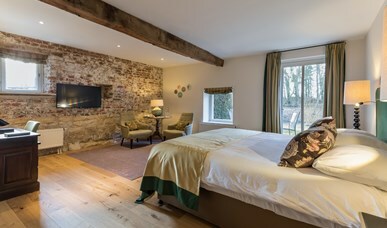 The other two suites have a traditional bath and a shower. The suites have a toilet, television with radio, pay-tv, safe and kingsize bed. 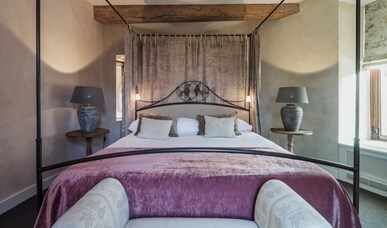 Beautiful authentic castle suites that have a lovely queen size bed and comfortable, stylish seating area. 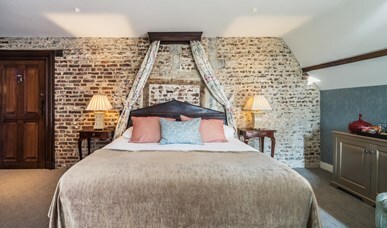 Wide windows in both bed- and bathroom, with lovely view of the small bridge and the glorious castle garden. 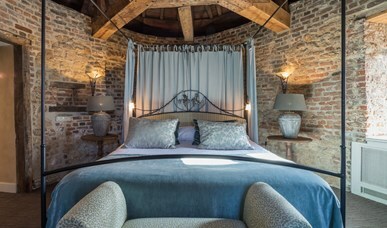 Luxurious castle suite that has a bathroom with whirlpool and steam/shower cabin for 2 persons. 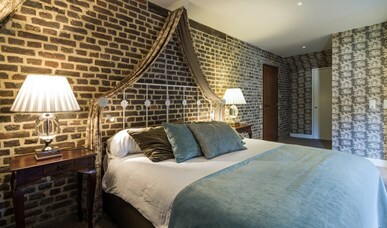 With authentic multi-coloured brown French wallpaper and beautiful furniture. The black and white bathroom is modern. The romantic small tower offers place for 2 and a splendid view of the garden. 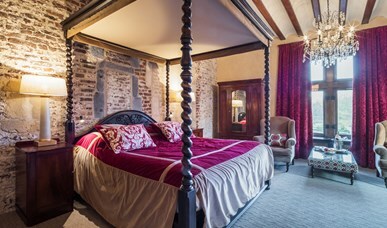 Marvellous (bridal) suite with sleeping area, situated within the castle's tower. 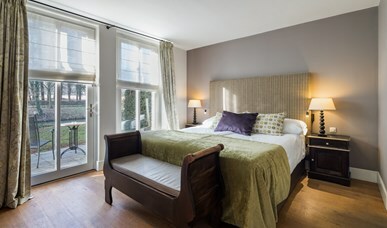 The room has a spacious, separate living room with comforatable easy chairs; ideal to regenerate after a strenuous day. Beautifully finished bathroom, which guarantees a luxurious bath experience!